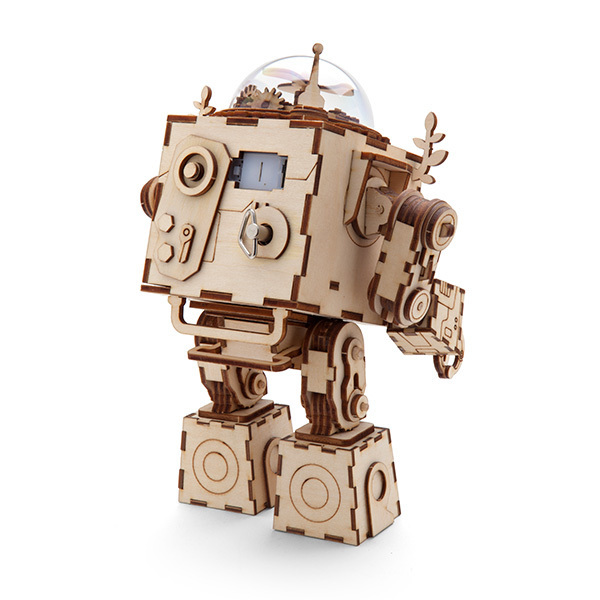 Orpheus by ThinkGeek is an absolutely adorable and cheery looking DIY robot who just snaps together easily upon arrival. Orpheus also doubles as a light up music box. With just the turn of his hand-crank, Orpheus will light up, twirl his little head and play a sweet little sad song that could make even the toughest among us shed a tear. We need companions in our lives. And it’s always helpful to have one who needs you in return. 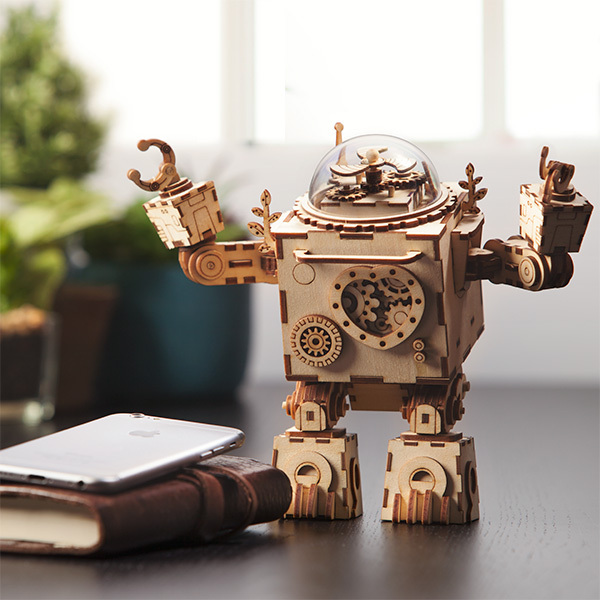 Orpheus, a robot-shaped DIY music box that plays music and lights up, is a bit sad and melancholic. But he looks cheerful, and he has a big heart. Orpheus will be a steadfast companion to any older child or adult. Though he needs some help being his best self, right out of the box.